Contact us to tour the Mount Airy home above, priced at $449,900. 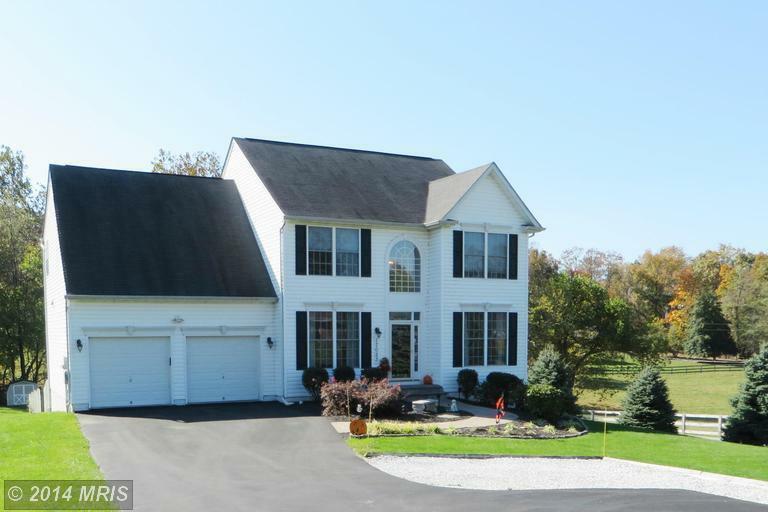 The Howard County market continues to be saturated with available properties, which is great news for buyers, but increasingly frustrating for sellers. The average days a home sits on the market averaged 65 days this October versus 42 days in October 2013. More inventory can mean lower prices, and for detached properties with four or more bedrooms that holds true. The average sold price for October was $548,032, which is a .92 percent decrease over last October when it was $553,147. For those looking to sell a detached home with three bedrooms, there were some winners. These properties had a year-over-year 4.02 percent increase for the month of October, with an average sold price of $386,263 versus $371,324. Howard County property owners overall can be pleased with an average sold price of $422,313 for all property types this October, compared to $406,470 last October—an increase of almost 4 percent. Are you wondering how the value of your home has changed over the past year? Call The McKenna Group at 410-381-3336 for a free assessment of the current market value of your home, or click here to send us an e-mail.